MONTREAL, QUEBEC--(- Dec. 16, 2015) - Urbanimmersive Inc. (the "Company" or "UI") (TSX VENTURE:UI) today provides an update of its corporate business developments. The Company recently stabilized its financial position primarily as a result of the last two private placements from accredited investors (officers and directors of the Company) that totalize $464,000 and secondly, by the settlement of debt for shares. Meanwhile, management continues to rationalize its operating expenses efforts to focus on investments in development projects to achieve profitability. The Company considers to have sufficient short-term liquidity to execute its development plan. However, it may have to make additional fundraising before reaching profitability and/or to support a more aggressive growth plan, according to the business opportunities being in negotiation. The Company continued to invest in the technological development of its real estate marketing content platform. It now includes a visual content providers Marketplace, an online store (e-commerce) offering exclusive texts from freelance writers, a Management Content System (CMS) and a Content Discovery platform for advertisers. New revenue models are added with those features and includes income from services, commissions, transactions, subscriptions and advertising. Urbanimmersive has recently finalized and delivered the new real estate website of RE/MAX Quebec. This new website will soon be online and includes an innovative property search field and a section of the real estate blog powered by Urbanimmersive. RE/MAX Québec operates one of the most visited brokerage real estate websites in Canada. In August 2015, the Company announced the signing of a memorandum of understanding with Centris® for the establishment of a strategic partnership to the local and international marketing of its real estate visual content providers Marketplace. Discussions are progressing and allow to consider the signing of a final agreement in the coming weeks as well as a deployment in early calendar 2016. Centris® also recently confirmed that it will be using for its own purpose the Urbanimmersive's marketing content platform for its blog section of its portal www.centris.ca. 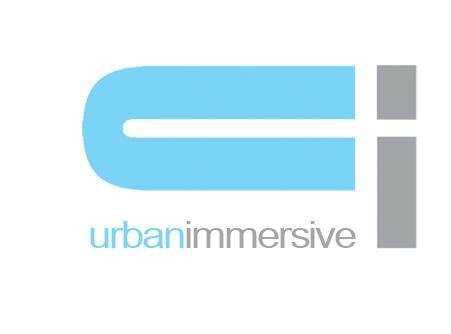 Urbanimmersive recently concluded two new affiliation agreements for the use of its real estate marketing content platform: one with the brokerage agency Proprio Direct and the other with Projet Habitation, a real estate web portal operated by the company Publi-7. Proprio Direct has recently integrated the marketing content platform to its new real estate blog section and Projet Habitation will perform the integration in early 2016. The Projet Habitation portal is one of the most visited new home and condo portal sites in Quebec. The Company will continue its marketing efforts in order to conclude other affiliation agreements in the real estate market and will be targeting organizations outside Quebec. Thanks to the agreements concluded in 2015 with the APCHQ, RE/MAX Québec, and recent business developments with industry leaders Centris®, Proprio Direct and Projet Habitation, the Company is taking a leadership position in the real estate marketing content market in Canada. Certain statements made in this press release that are not historical facts are forward-looking statements and are subject to important risks, uncertainties and assumptions. The results or events predicted in these forward-looking statements may differ materially from actual results or events. As a result, readers are cautioned not to place undue reliance on these forward-looking statements. For additional information with respect to certain of these and other assumptions and risk factors, please refer to the Management's Discussion and Analysis of the Corporation for the quarter ended June 30, 2015, and filed with the Canadian securities commissions on August 28, 2015. The forward-looking statements contained in this press release represent our expectations as of the date hereof. We disclaim any intention and assume no obligation to update or revise any forward-looking statements.